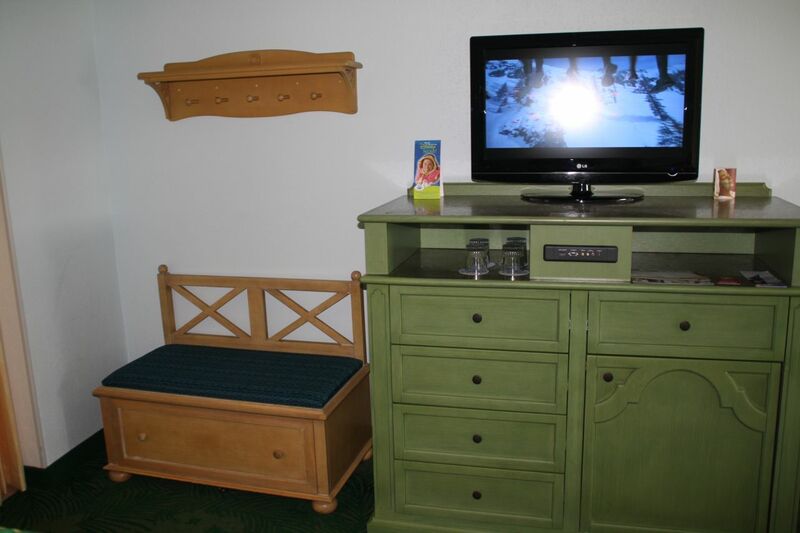 Disney’s Caribbean Beach Resort Review – A great choice! I’ve never been a fan of the Caribbean Beach – I’ll state that up front. I don’t hate it – but it has always been one of those resorts that never really inspired me, or hit that “magic” spot the way some of the others have. Nonetheless, I do try and make a conscious effort to go into these reviews with an open mind. Especially in this case, I’m glad I did. Given that the resort is so popular, I thought this would be a good way to kick off the next round of hotel reviews we’re doing for our podcast (The DIS Unplugged). Reservation Details: I booked a 4 day / 3 night stay in mid March. 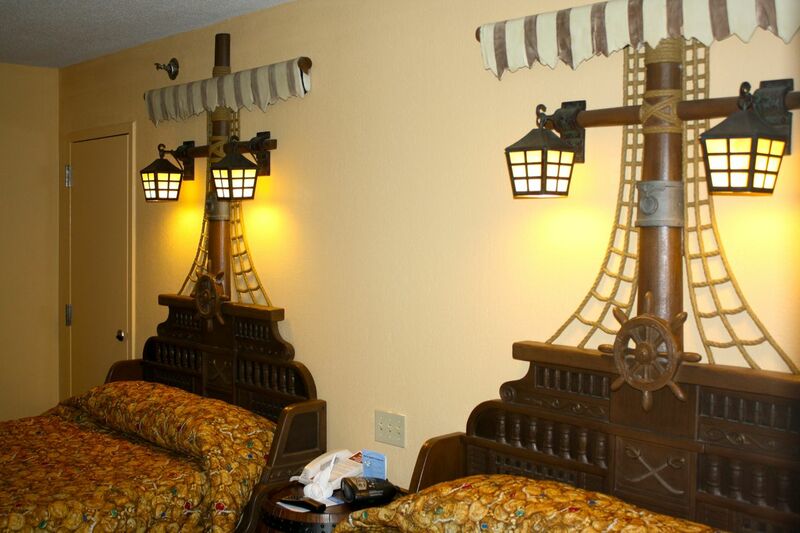 I selected a ‘pirate’ themed room and utilized an available Florida resident discount. Total cost for the 3 nights was $559.41 which included all taxes. We checked in on a Wednesday afternoon at 12 pm, and had already entered our check in information on line, so our keys and resort info were waiting for us when we arrived. Check in literally took 5 minutes (and yes, I timed it – it was actually 4 mins 57 seconds if you want to split hairs). The grounds of the Caribbean Beach Resort represent Disney theming at its best. Tranquil if not sprawling grounds give you plenty of places to walk, bike (available for rent), or just sit and relax in one of the many out the way places you’ll find as you explore. 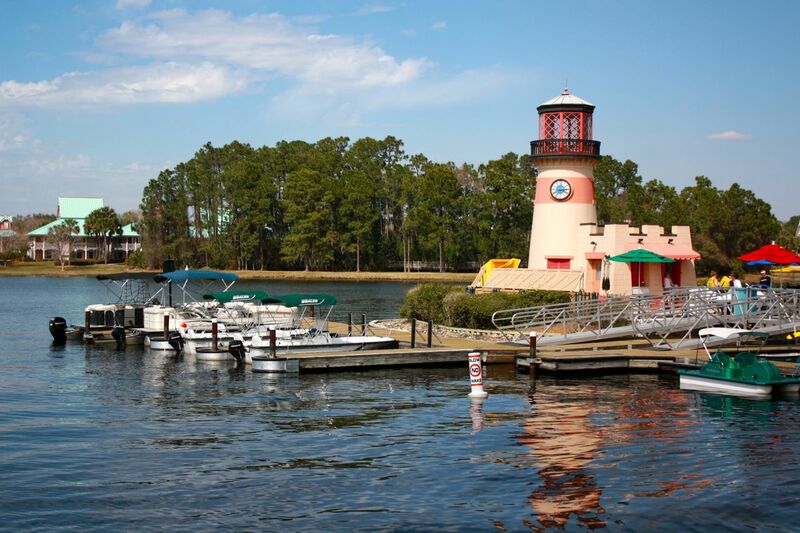 A large lake sits in the middle of the resort and watercraft are available for rent. The lake doesn’t actually lead anywhere, but it offers a nice boat ride if you’re so inclined. I decided to get a pirate themed room, just because they’re popular, and I wanted to see if they were better in some tangible way over a standard room. The only possible reason to book one of these rooms if you have a young boy who is REALLY into the pirate genre – then it’s a no brainer. 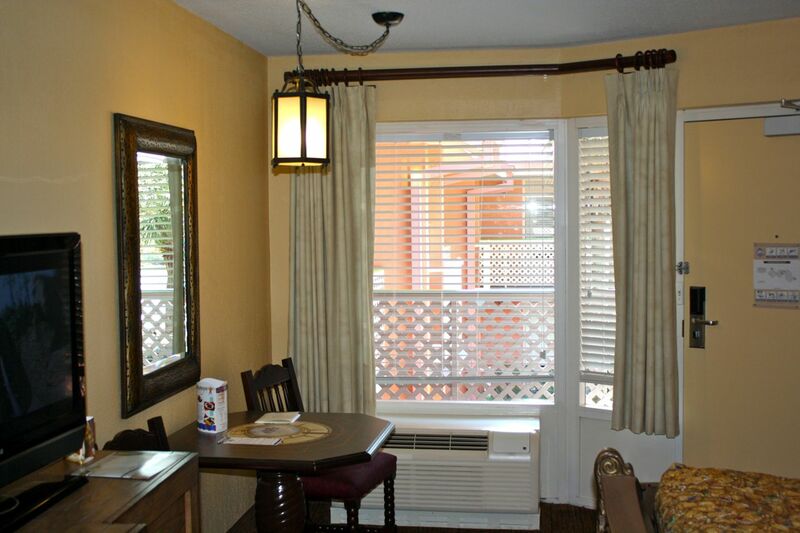 Outside of that, these rooms do not compare well to other premium rooms at the resort. The first thing we noticed was that our ‘pirate room’ wasn’t exactly clean. A piece of clothing from the rooms previous occupant was left in the bathroom. Housekeeping had cleaned the bathroom, but for whatever reason, the article of clothing was left behind. The rug was dirty, with built up dust clearly visible in the corners and around the baseboard. Dust was also thick over the headboard of the bed, on the TV stand and on the shelf above the iron and ironing board. There was also dust and debris beneath the vanity. Now, some dust here and there is to be expected – but this room was clearly not being properly cleaned and hadn’t been in some time. Given the cleanliness issues that this hotel has had over the years, there’s really no excuse for this. But what really got me were the beds. The pirate ship motif is cute enough to be sure – but these are ‘half beds’ at best, and by that I mean there’s no mattress. 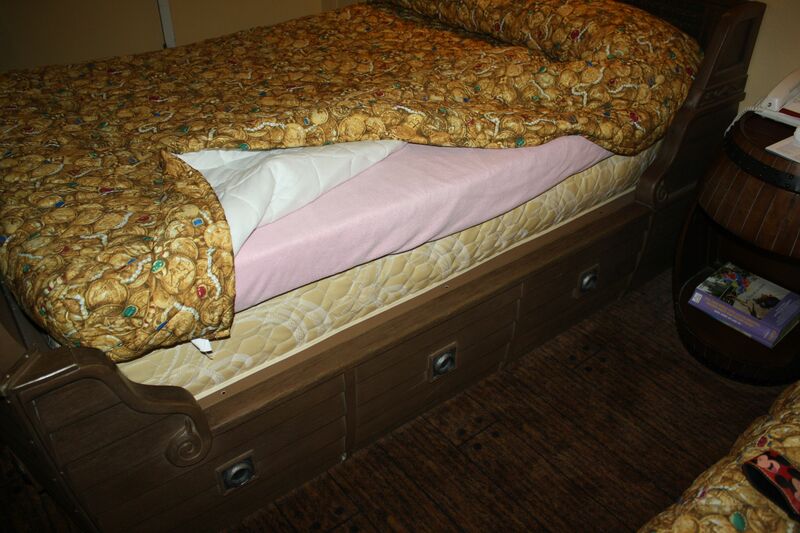 There’s a box spring, and a 4-inch thick pillow top lying above it, but no mattress in between. Lying on this bed was like lying on a cement slab – hands down the most uncomfortable bed I’ve ever been on. 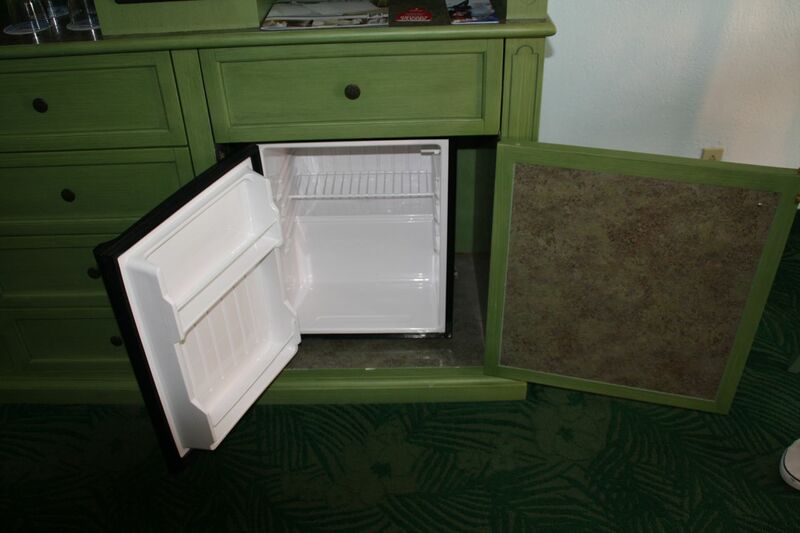 At $163 per night, this was really unacceptable. I knew there was no way I’d be able to sleep here, so I called the front desk, politely explained the situation, and within minutes I had a new room assigned (this one a “Nemo” themed room). According to the housekeeping manager, this was a ‘design issue’ with the beds. 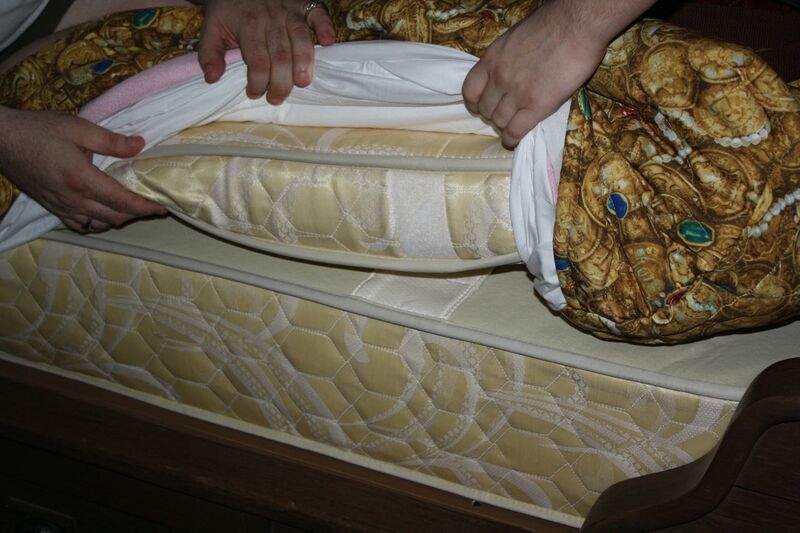 He explained that they could not fit both a mattress and box spring together on the bed, so this was the workaround. Now, whether that’s accurate or not, I don’t know – but it seemed to make sense when we looked at the beds design. I suggested that the designers should be made to sleep on these then think long and hard about ever pulling a stunt like that again. 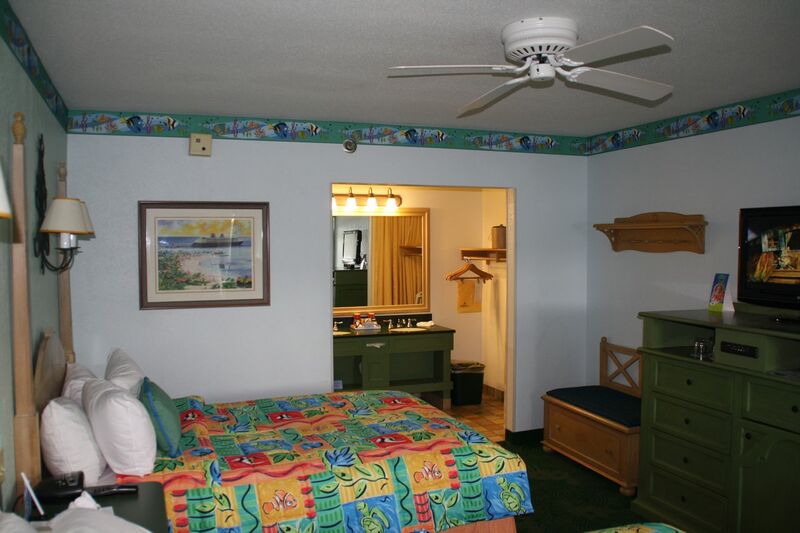 At first, given the condition of the room I was in, I was thinking I was going to title this review “Caribbean Beach needs some Caribbean Bleach” – but after checking into my new room, I realized that would not only be unnecessarily harsh, but also very unfair. With that said, I have to be honest and tell you that the way the staff at the Caribbean Beach handled the complaint was brilliant. From the time I called the front desk, until the time I stepped foot in a new room – it was a total of 15 minutes. No back and forth – no attitude, just a front desk manager and a housekeeping manager who were very dedicated to making sure their guest was happy. They did such a good job I briefly entertained leaving the entire “Pirate” room experience out of my review – but that’s not being fair and unbiased so I’m including it here, but also want to stress the context: it’s not that a problem or issue arose – that’s going to happen in the best of resorts – it’s how it’s handled, and this was handled brilliantly. Our new room was a Nemo themed room with a preferred view in bldg 32, just a short walk to the resorts epicenter, Old Port Royale (where the food court and shops are located). This room was immaculate – in fact, the room looked as though it had not been used before. Colorful bedspreads (with comfortable mattresses), and bright open feel made the room comfortable and welcoming. 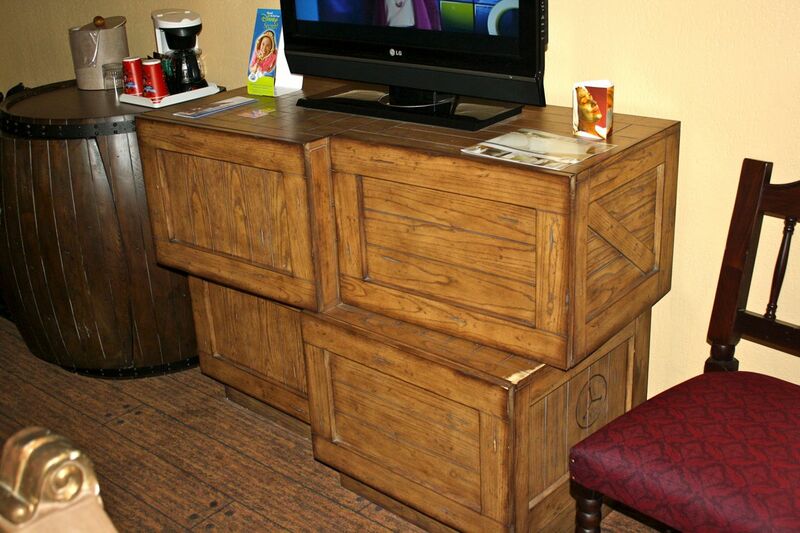 The furniture was a mixture of light woods (on the beds and table) and a Caribbean green entertainment center. The entertainment center also had connections for the flat screen TV built into the front that would allow you to hook up any external devices you prefer (HDMI, Computer, video game, video camera). The beds and bedding in the moderate resorts are what I would consider above average. Beds are ‘pillow top’ which makes them a bit more comfortable than standard mattresses. The pillows we had were hypo-allergenic (meaning no feathers) and since I’m used to sleeping with feather pillows, it took me a little while to get comfortable. Overall, this was a very comfortable room both in terms of size, amenities and aesthetics and in my opinion, absolutely worth the price point (preferred view rooms are roughly the same price as the pirate themed rooms). Transportation at the Caribbean Beach seemed to be running to all the theme parks about every 15 to 20 minutes. Also, due to the enormous size of the resort, there are ‘internal buses’ to take you to both Old Port Royale and the Customs House. Again, these buses seemed to run on a schedule of every 15 to 20 minutes. Unless you plan to visit attractions off site, there is no reason to rent a car here. Yes, Disney transportation will take a little longer, but it’s consistent and will get you where you need to go. I will stress that if you need to go to another resort (for dinner reservations for example), you need to give yourself about 2 hours of travel time. You’ll need to take a bus from the resort to one of the hubs (Transportation and Ticket Center or Downtown Disney) and then transfer from there to a resort bus for your destination. Now, on to the food. As previously mentioned Old Port Royale is really the center of this resort. It’s where all the food and retail venues are located. 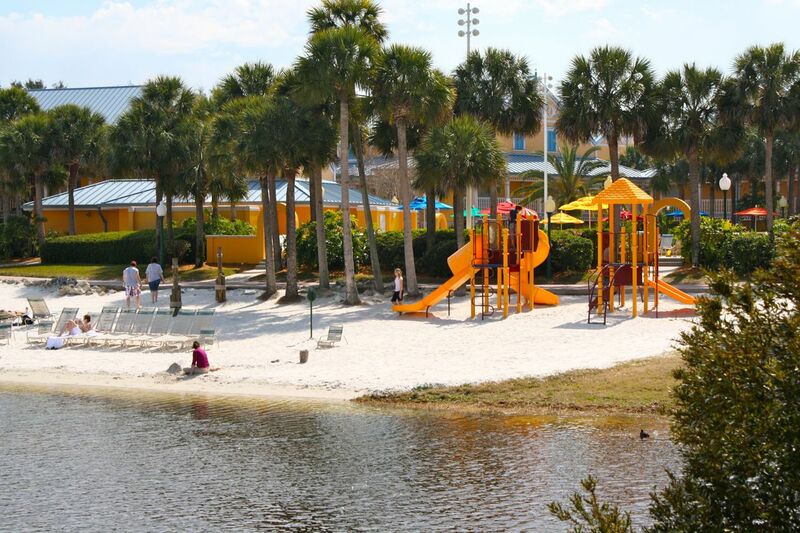 Also, watercraft and bike rentals (as well as the main pool) are in this area as well. We ate breakfast, lunch and dinner at the resort’s food court. I wanted to get a good idea of the food quality over the course of different meals and over different days. Among the offerings here is a quick service store for pastries, fruit, and snacks, the Royale Pizza and Pasta shop, Old Port Royale Hamburger, Bridgetown Broiler (serving breakfast and dinner), Montegos Deli, and the resorts table service restaurant Shutters (click links for visitor reviews). Prices range from $6 to $10 per dish and the food was good – not great – but also not offensive. My standard line regarding the food for the three days was “it’s not terrible” – and that about sums it up. There are options available to accommodate most dietary needs – and I found the chef in charge of the area very helpful and accommodating when I had questions about foods with added sugar. I’ve found that the food courts at Disney’s moderate resorts are a good option when you’re trying to reign in spending. A dinner for two consisting of a half chicken, a choice of two sides, a piece of cornbread and a bottle of water was a total of $25. It’s hard to eat dinner anywhere for $12.50 a person. Again, this was not a culinary masterpiece, but the chicken was fresh, as were the vegetables – not overly greasy, flavorful and filling. We had similar experiences at lunch and dinner (in fact the Deli makes an awesome turkey BLT). There is also an option for pizza delivery to your room. I ordered a cheese pizza and 1.5 litre water, which came to $22. Again, it wasn’t terrible. If my local pizzeria delivered this to my house, I’d throw it back at them – but I’ve learned to REALLY tone down my expectations when “Disney” and “Pizza” are mentioned in the same sentence. 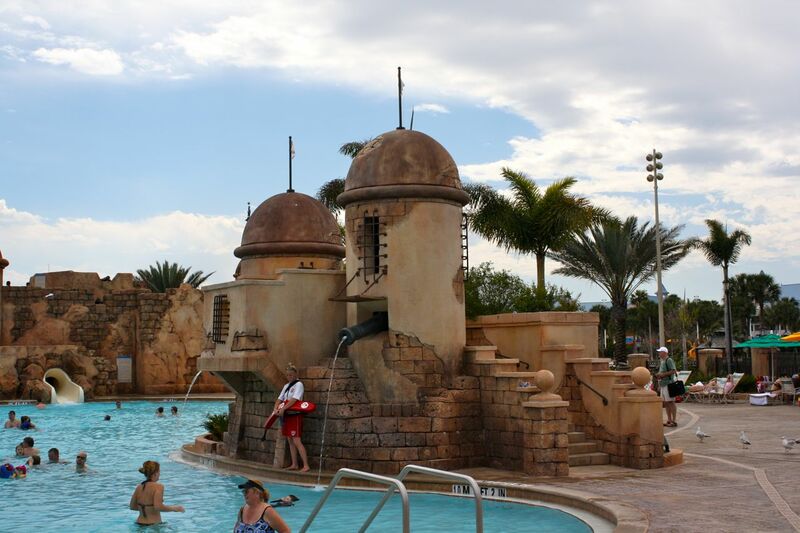 Of course, there is the pool – arguably one of the more important aspects of any resort, and this one is certainly one of the better themed pools on property. The pool is large, has a decent amount of lounge chairs all around, is very close to the food court and of course, has a full bar nearby. There are two hot tubs located here as well, again – both of a decent size, and a play area for the kids. This would be a good time to discuss the cast members at the Caribbean Beach Resort. They’re not good. They’re terrific – and terrific on a level that often reminded me of Disney service the way it was years ago – when every cast member you came across was ready to do cartwheels to make you happy. Every cast member I encountered during my stay greeted me with a smile, and not a fake “I have to smile because it’s Disney” smile, but a real, genuine smile that makes you feel as though they’re really glad to see you. You could tell that making the guest happy was a priority here, and I can’t underscore how much ‘value’ that type of service adds to a vacation experience. Even in spite of the issue we had with the Pirate themed room, I found the Caribbean Beach a comfortable, friendly and thoroughly “Disney” experience. My final grade for this resort is 95 out of a possible 100 points. The points lost were due to the condition of the first room. Had the next room been as poorly maintained, the grade would be substantially lower. However, given the overall maintenance of the property, the quality of the service, and the nearly immaculate condition of our second room, I consider the initial housekeeping issue an anomaly and not indicative of a broader problem. I can wholeheartedly give a very strong recommendation that you check this out for yourself if you haven’t already. I wasn’t a huge fan of this resort walking in, but I certainly was on the way out!! 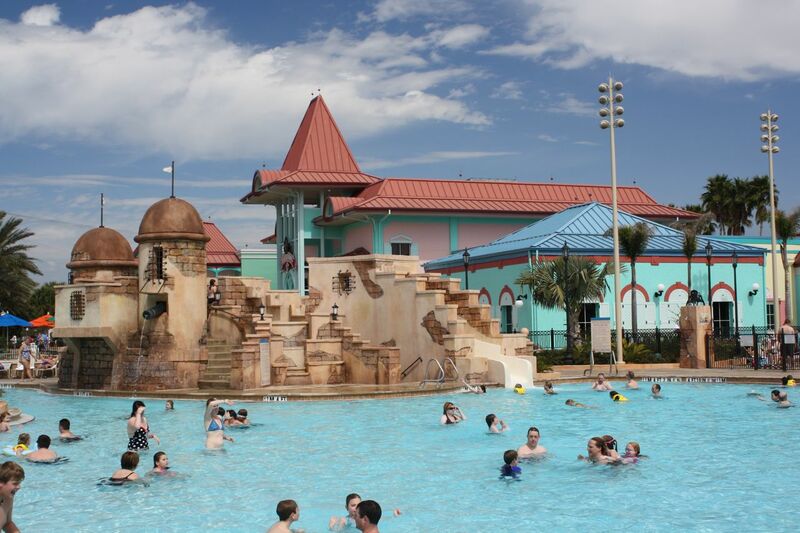 The new pool at Caribbean Beach is open! 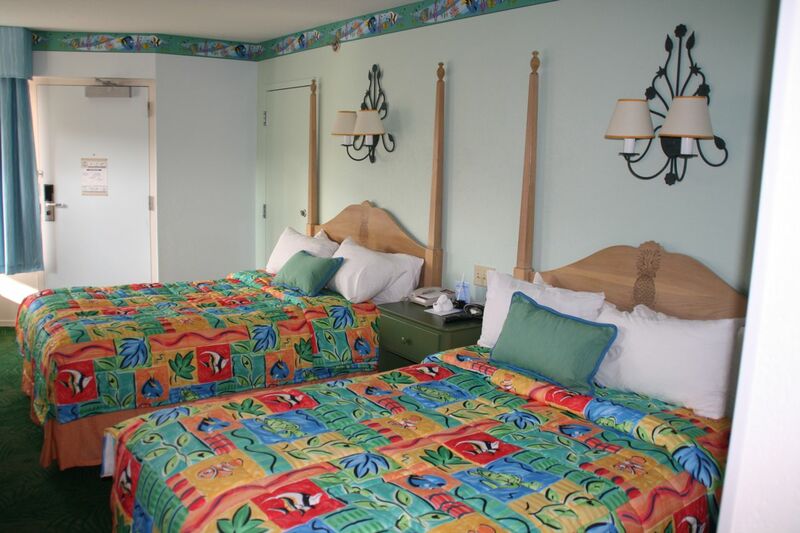 Caribbean Beach Resort, a sneak peek at the new rooms.